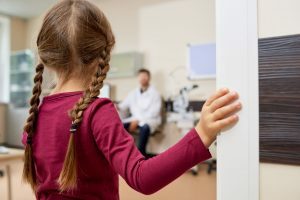 If you feel that you are not getting appropriate care from your doctor’s office or managed healthcare system (for example, if you have been denied celiac disease testing) it can be frustrating and disheartening, especially if you are seriously ill or you are caring for a family member who is ill. There are steps you can take to advocate for yourself and your family and to receive advocacy assistance. This page has contacts for residents of California, but much of the information is universally applicable, and you can search online for similar offices or resources in your state or health care system. While we regret that our foundation staff is unable to discuss individual situations or offer medical or legal advice, we provide the suggested steps and resources below for your convenience. Some of the suggestions only pertain to managed care systems. The first step is always to try to work with your doctor. If you are not satisfied with the medical care you are receiving, communicate about it clearly, patiently and politely. If you feel it will be of assistance, you may wish to provide your doctor with our list of Resources for Medical Practitioners. The list is comprised of well-respected resources on celiac disease and non-celiac gluten sensitivity offered by top university medical centers and the federal government’s National Institutes of Health. Getting a second opinion means asking a doctor other than your regular doctor to review your case. It can help you make more informed decisions about your health care. Many doctors will support a patient’s decision to get a second opinion, as they want their patients to feel comfortable with their treatment. Your doctor may even find it useful if another doctor has additional expertise. A second opinion can provide peace of mind to the patient or suggest new directions or considerations. It may feel awkward to tell your doctor you are pursuing a second opinion and requesting a copy of your records be sent to another doctor’s office, but it is important to advocate for yourself. If you are having problems getting appropriate care in your managed healthcare system, you may wish to call your provider’s Member Services and ask for the Office of the Patient Advocate. If that office does not solve the problem with you, you may wish to file a grievance, which you can usually do through Member Services. Search online for “state patient advocate office” and your state name (choose a link with a “.gov” extension to find a government office). The State of California’s Office of the Patient Advocate can guide you as you try to work with your doctor’s office or navigate your managed care system. The staff can help you file a grievance within your managed care system. Search online for “state department of managed care” and your state name (choose a link with a “.gov” extension). In California, for example, if you are not satisfied with the response of your managed care system, the Office of the Patient Advocate can also help you file a grievance with the Department of Managed Health Care. This department may also be helpful just to talk to about your case. Search online for “state medical board” and your state name. The Medical Board of California is responsible for investigating complaints and disciplining physicians and other allied health professionals who violate the law. Consumers can contact the Board’s Central Complaint Unit for assistance. The website has some useful FAQs about medical records, credentials, etc.